As a sophomore at Washington University in St. Louis, Missouri, Kendall Gretsch stumbled across an article that would change her life. It was the spring of 2012, just a few months before the Summer Paralympics in London. Gretsch had been reading the local news when she came across a story about a St. Louis college student who hoped to attend the London Games as part of the U.S. Paralympics Swimming team. Born with spina bifida, Gretsch had been a swimmer in high school. After graduating in 2010, she enrolled at Washington University with the intent of studying biomedical engineering and no plans to swim collegiately. However, within the first few months of her freshman year, she missed the athletic outlet. She began to swim and exercise on her own. By the time she came across the aforementioned article about a year later, she was ready to jump back into the pool, struck by the idea of pursuing the Paralympic dream. “I was just so oblivious to any sort of para-sport,” Gretsch, 26, reflected on the phone earlier this summer, noting that she had not really thought of the Paralympics as “an option” for continuing her athletic career until reading the piece. Competing at the Paralympics quickly became her goal, but it wasn’t limited to swimming. “In high school, I just liked being a part of the team and the social aspect of [swimming], the sport elements of being able to push yourself and set your own individual goals,” said Gretsch, a native of Downers Grove, Illinois. Following her sophomore year of college, Gretsch returned to Illinois in search of an adaptive sports program to join. What she found was Dare2Tri. Based out of Chicago, the Dare2Tri program offered swim sessions, and Gretsch made it out for the final swim practice of the season. After getting out of the pool, she was approached by one of the instructors. Would she be interested in stepping outside and trying her luck on the track? 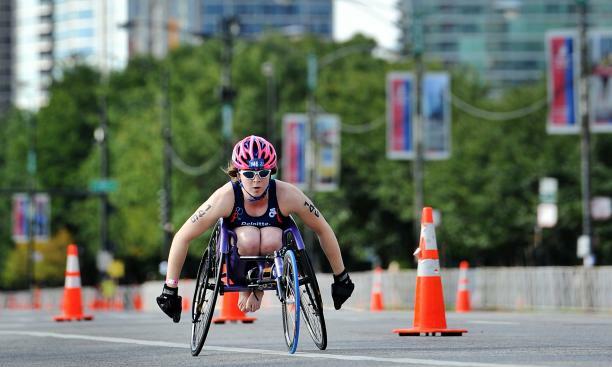 After graduating in college in 2014, she competed in her first international race and started focusing solely on paratriathlon. At 2014 world championships, she won gold in the PT1 classification and was later awarded 2014 Female Para Triathlete of the Year by USA Triathlon. World Championships and awards aside, the Paralympics were still on Gretsch’s radar in the spring of 2016. Her chance seemed forthcoming. The 2016 Summer Paralympics in Rio de Janeiro, Brazil, would be the first in history to feature paratriathlon. However, the PT1, Gretsch’s class, was not to be contested for women. If she wanted to compete at the Paralympics, she would have to wait and see if her classification would be included at the 2020 Summer Paralympic Games in Tokyo or turn her attention elsewhere. But where to go? During her first year with Dare2Tri, she had heard about adaptive cross-country skiing. She decided to give nordic skiing a go. 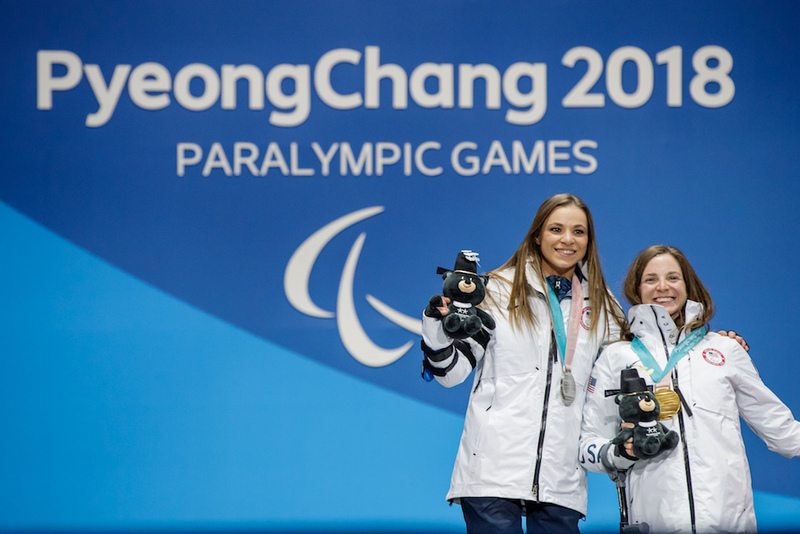 She moved to Madison and took a technical-support job with an electronic health records company, Epic Systems, while training in an effort to make the 2018 Winter Paralympics in PyeongChang, South Korea. Beyond the challenge of learning a new sport, Gretsch also bumped up against a lack of snow during her first season as a cross-country skier. Gretsch remained in Madison through the winter and into the summer. A little less than a year out from the 2018 Paralympics, she turned her attention completely to skiing, putting paratriathlon on hold. Four months prior to the Games, she moved Bozeman, Montana, to train with the U.S. Paralympics Nordic team and then-head coach Eileen Carey (Carey recently became the director of U.S. Paralympics Nordic). By the time the Winter Paralympics rolled around, Gretsch had a full year of nordic training under her belt. Still, what came in South Korea was slightly unexpected. In the opening event of the Games, Gretsch became the first American to take home a gold medal in Paralympic biathlon by winning the 6-kilometer sitting sprint. One day later, she won a second gold medal in the 12 k sitting cross-country distance race. With two Paralympic gold medals to her name, Gretsch plans to continue cross-country skiing. She also hopes that her classification will eventually be included in the Summer Paralympics so that she may become a Paralympic triathlete as well. And for someone as strong and talented as Gretsch, more medals from both sports is not out of the question.